‘When a taxi driver asks us what kind of music we play,’ says Errors’ Stephen ‘Steev’ Livingstone, ‘it’s pretty hard to describe.’ The instrumental Glasgow quartet are certainly versatile, having been talked up in Mixmag for their dancefloor-friendly beats, given kudos by NME for their guitar-pop savvy and adopted not long after they formed in 2004 by Rock Action, the label belonging to those fellow explorers of the sonically literate instrumental Mogwai. Although demo sessions for the next album are already underway, the band don’t have much free time right now. Keyboard player Livingstone, laptop operator Ward, guitarist Greg Paterson and drummer James Hamilton (who all ‘swap round and play each other’s instruments badly’ during shows) will be midway through a tour with fellow Scots The Twilight Sad at time of going to press, their headline appearance at The List’s 25th Birthday Party will be their only Glasgow date for the remainder of the year and the triumphantly named remix album Celebrity Come Down With Me will be released shortly after. Errors play the Liquid Room, Edinburgh, Tue 12 Oct (with The Twilight Sad) and The List’s 25th Birthday Party at The Arches, Glasgow, Fri 22 Oct. Celebrity Come Down With Me is released in Nov.
Not since Extreme slapped their way through ‘More Than Words’ have a guitar’s percussive abilities been more ably demonstrated. Glasgow’s Hubbert – guitar virtuoso, bleak-banter peddler, creator of the ‘will play for food’ scheme – captured our hearts with his fancy fretwork on debut LP First & Last. Joy Division/My Bloody Valentine-influenced TS impress your ears with their current album 'Forget the Night Ahead', on a double headline tour with Glasgow electronica outfit Errors playing tracks from their new album 'Come Down with Me'. 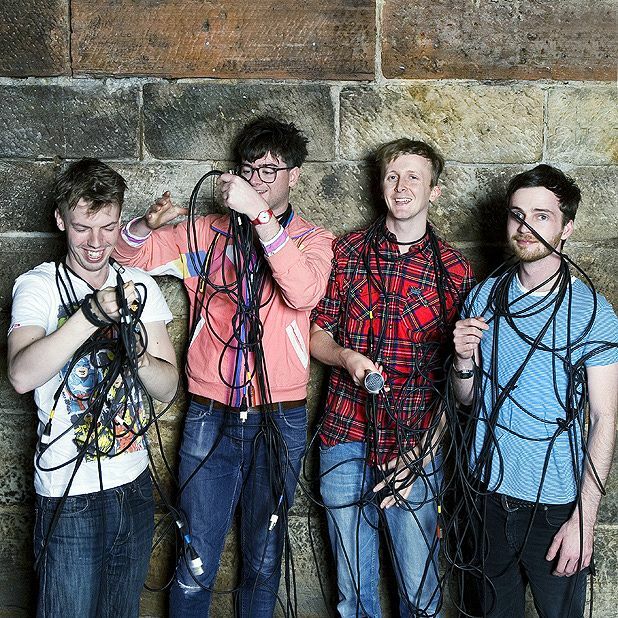 Electro indie-pop quartet from Glasgow.